Pasadena, Texas. Halloween, 1974. Timothy O’Bryan along with 3 other children had just spent the night Trick or Treating. His father and another neighbor had taken the kids around the neighborhood for one of the greatest times a child can have. Dressing up as a monster or a hero and receiving candy in return. At the end of the night, just before bed, Timothy like all kids wanted to cash in on some of his earnings. He wanted to eat some of the candy collected that night. His father allowed him one piece and Timothy chose a large Pixy Stix. No red flags were had when the boy had trouble getting some of the fine powder from out of the straw. After help from his father, Timothy got some of the candy free and immediately complained of the taste, claiming it bitter. Soon thereafter Timothy began complaining of stomach pain and began vomiting. Timothy’s father, Ronald, grabbed the child and began racing to a nearby hospital but it was too late. Timothy died on the way there. Suspect in the horrendous crime. The town soon found themselves in a state of panic, fearing any one of their children may have been poisoned. Candy was handed over to the police for inspection. It became clear to police early within the case that the pixy stix was the cause of the boy’s demise. Potassium cyanide was found to be added to the top of the Pixy Stix in which Timothy consumed. The obvious question police had; where did this Pixy Stix come from? After speaking to the group of kids Timothy was out with, it was soon discovered that they too had received tainted candy, including Timothy’s sister. Each had a Pixy Stix with cyanide as well, each being a lethal dose. In an even darker turn, the candy was said to have been given to the kids by none other then Timothy’s father, Ronald Clark O’Bryan. His initial claim was that he had gotten the candy from a house but couldn’t remember which one it was. Police went through the neighborhood where they trick or treated and Ronald finally pointed at a house. The group remembered that no one answered the door when asking for candy but Ronald claimed he waited a little longer. Once the group was out of site, Ronald claimed a hairy arm handed over 5 Pixy Stix from behind the door. When authorities looked into the claim, they confirmed that the man who lived there was at work until 11:00 PM and could not have been involved. Ronald became the prime suspect. As the investigation grew, authorities were able to establish a motive for the murder. It was found that Ronald was severely in debt. Ronald couldn’t seem to hold a job, landing over 20 of them in a 10 year time frame. Ronald also lost the house, was soon to lose his car, was behind on loan payments and had resorted to stealing from work to make some extra money. Due to this debt, O’Bryan decided the best course of action was to take out life insurance policies on his kids. In total, the policies estimated value was $60,000. If one were to make two lists, one for innocence and one for guilt, the guilty column would be stacked overwhelmingly so. Ronald seem to make every mistake in the book and make next to no effort in covering his tracks. I’m sure the detectives were grateful. It was soon found that Ronald had visited a chemicals store in Houston to ask about purchasing cyanide and in a brazen move, called the insurance company the day right after Timothy’s death to inquire about collecting. Ronald Clark O'Bryan while incarcerated. 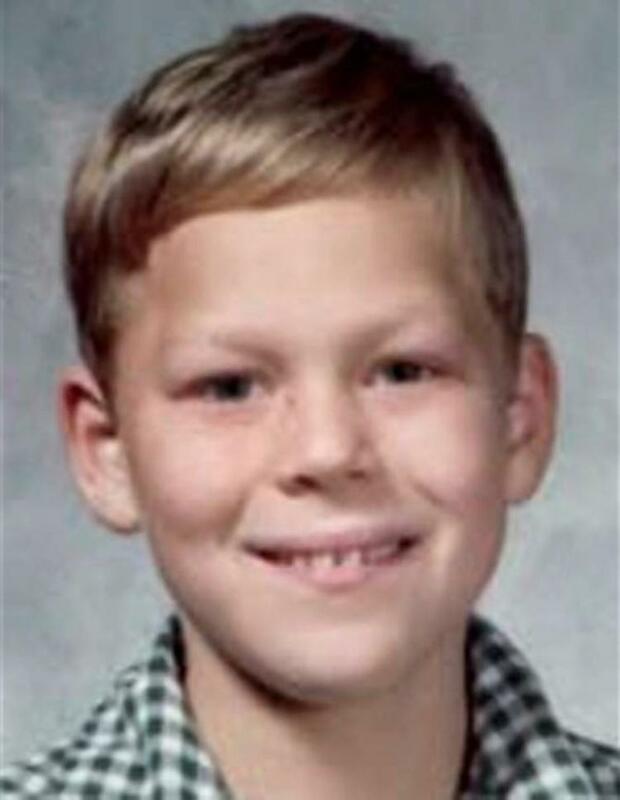 On November 5th, 1974, mere days after Timothy’s death, authorities felt they had enough evidence to arrest Ronald on suspicion of the murder of his son. O’Bryan remained adamant about his innocence and plead not guilty to the charges. The defense relied heavily on conversations Ronald had with family, friends and co-workers. The prosecution alluded to the prospect that over the past few months leading up to Timothy’s death, Ronald was almost obsessed with talking about cyanide. Asking how to obtain it? How much to administer? This alone does not make a murderer but physical evidence was scarce in this case. Authorities never found out where he actually obtained the poison. With that in mind it took the jury not much time at all to find Ronald Clark O’Bryan guilty on 5 charges: one count of murder and four counts of attempted murder. Ronald was sentenced to death for his crimes. “What is about to transpire in a few moments is wrong! However, we as human beings do make mistakes and errors. This execution is one of those wrongs yet doesn’t mean our whole system of justice is wrong. Therefore, I would forgive all who have taken part in any way in my death. Also, to anyone I have offended in any way during my 39 years, I pray and ask your forgiveness, just as I forgive anyone who offended me in any way. And I pray and ask God’s forgiveness for all of us respectively as human beings. To my loved ones, I extend my undying love. To those close to me, know in your hearts I love you one and all. God bless you all and may God’s best blessings be always yours. He failed in all of his years of incarceration to take any responsibility for his son’s murder, making himself out to be the victim every chance he got. Often times when listening to him speak his son wouldn’t even come up if it weren’t for the reporter asking questions. Ronald was obsessed with convincing people of his innocence despite the evidence, the motive and the lies he told throughout the investigation. Halloween will never be the same again due to this monster.